Providing the right and attractive Yukon employee benefits program is the key to attracting quality employees in Yukon. A successful business should ensure that its employees are satisfied with its work culture and also with the benefits programs it offers. With a Yukon group benefit plan, you can keep your employees secure and make sure that they have the peace of mind required to give their best in your business. The right Yukon employee benefits program will help you to hire and retain quality employees and also make it easy for you to protect your employees and also your business without incurring an additional cost. You can also design the benefits plan in such a way that your employees can maintain their health coverage even after leaving your company. To get an immediate Yukon employee benefits program quote, click here. The employer can provide the benefits program at a fixed rate and the plan will be automatically administered by an insurance company. Your employees and their family members will be protected against financial issues that could result from medical emergencies or dental issues. With the Yukon employees benefits program, the employees will enjoy tax-free health coverage benefits rather than purchasing health coverage with after-tax money. As an employer, you will get a tax deduction for all costs associated with the group benefit plan. Rather than increasing your employees’ taxable salary, you can provide extra compensation to them with a Yukon group benefit plan. To learn more about Yukon employee benefits program, click here. Employee benefits programs are becoming more complex by the day. When setting up such a benefits program, employees need to leverage the help of an experienced professional to navigate through the process. This will help you to prevent the problem of growing liabilities and avoid issues of steep costs. Brokers or benefits consultants play important roles here. The professional could help you to get relevant data and also provide you with expert guidance that will help you to get the best outcome for your benefits investment. Furthermore, the broker is paid by the insurance company and could be willing to offer you the service at little or no extra cost. Sometimes, the cost and values offered by different brokers may differ. So, you may need to get proposals from at least three professionals in order to get different perspectives on the cost and value. 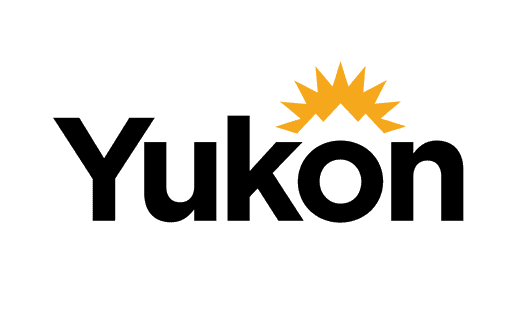 To learn more about Yukon employee benefits program legislation, click here. Long-term costs could eat into your company’s profitability and should be avoided. When setting up the Yukon employee benefits program, you can avoid long-term costs in any of the following approaches. Minimizing the carry-over of unused sick days. Capping or placing a limit on the amount of coverage for a period of time. Adding or including deductibles into the insurance coverage. Considering co-insurance or the level of insurance. Seasonal workers in some parts of Canada will get up to five additional weeks of employment insurance benefits under a $189 million pilot project. The announcement was made at a fisheries plant in Escuminac, New Brunswick by Jean-Yves Duclos, the minister of Families, Children and Social Development. About 51,500 workers in Atlantic Canada, Yukon and Quebec will benefit from the additional weeks of employment insurance. Duclos said that the government understands that some seasonal workers have long struggled to find enough hours of work to qualify for sufficient EI benefits that would carry them through the off-season. Duclos pointed out that the key to finding long-term solutions to help seasonal workers is economic diversification and economic development and the government understands that this is a pressing issue that calls for short-term actions. Yukon employers can provide group benefit plans in the form of compensation packages to their employees, as a group. This is not part of the benefits provided by the provincial government. Employers in Yukon can take away or reduce the amount of coverage offered to employees but this is not a good business practice. Moreover, employees can protect their benefits with an employment agreement. They can also do so with the federal or state law. No law requires a Yukon employer to provide full-time benefits to its employees but most employers provide health coverage to their full-time workers. However, health coverage is not always expected by part-time employees. There are mainly four types of benefits offered by Yukon employers to their employees. These include medical insurance, life insurance, retirement plans, and disability insurance. To get an immediate Yukon employee benefits program, click here.